Bienvenidos a mi blog hoy! Everyday I pull up the stats on my blog to see where I am being read or at least pulled up before they navigate to the desired website page. Apparently I had a hit from Croatia on my En-Er-Gy Drinks page from April 2013 – which according to my Twitter page is my leading hits page to date (for the record my Twitter feed is very reputable). So, in honor of the international hits, I decided to open with a couple phrases in Spanish. Yes I know the official language of Croatia is Croatian but I thought it would be quirky to throw in some Spanish just for flavor. So back to the roots of today’s post. 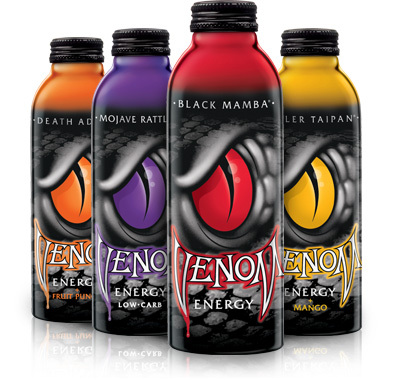 I thought since I was staring across my desk at a Venom Death Adder energy drink containing 230 calories (57G of carbs – yikes!) that I could do better on my previous energy drink entries (it also has 200% of the daily allowance of Riboflavin, Niacin, Vitamin B6 & B12). Anyone who knows me knows I have a weak spot for a few of the zip-pity-dew-dah drinks. 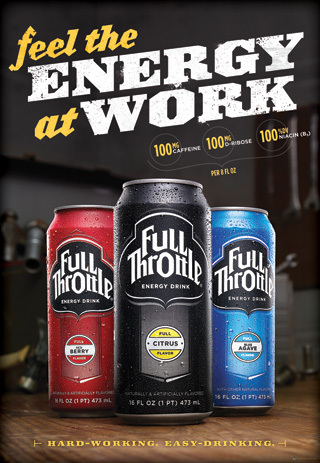 Full Throttle – Citrus and Agave flavors – hold my top spots and then I will accept two of the Venom entries (Death Adder and Killer Taipan) and three of the Amp line (Elevate – blue can, Original – green can, Traction – purple can). I do not like any of the Red Bull varieties or the Monster or Rockstar concoctions. Just my opinion here so if your taste buds think these are OK – more power to you. This has been my energy drink soap box. 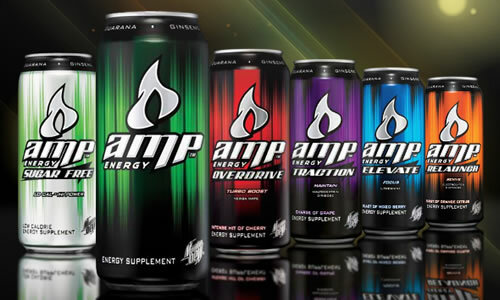 Energy drinks be good, yum-yum. Health risks may lurk but what is each day without a little danger? Getting behind the wheel on a major highway is far more risky and stressful. So I will enjoy my 160 milligrams of caffeine today and toe tap to some Sara Bareilles calling out the jerks of the world. Hope your Monday was productive and profitable too. I have a little softball to look forward to later. You play some ball or smart phone games (I am currently working on level 116 on Candy Crush Soda Saga). Why? Why? 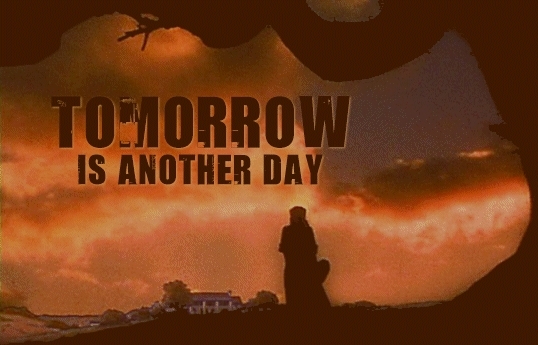 Because tomorrow is another day! See you soon and keep enjoying all your favorite movie quotes.